Bhubaneswar: Around 705 villages under 124 Gram Panchayats of 30 blocks in nine districts have been brought under the coverage area of Odisha Mineral Bearing Areas Development Corporation (OMBADC). This was decided in the review meeting of the corporation held under the chairmanship of Chief Secretary Aditya Prasad Padhi here. Reviewing the activities, Chief Secretary directed different departments to submit revised project proposals within 15 days. The departments were asked to cover the basic requirements on saturation model in the identified blocks. It was decided in the meeting that the ULBs located within the mining-affected areas would also be included in the fund. 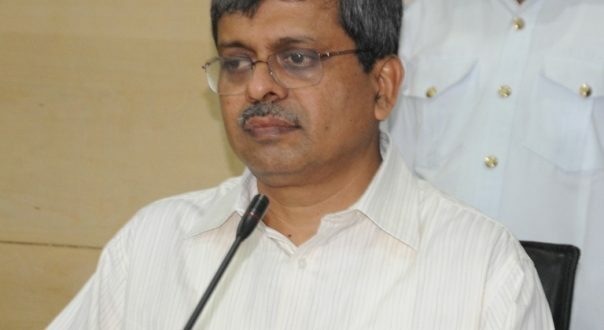 Chief Secretary directed Housing & Urban Development department to prepare projects for the ULBs. The projects like drinking water, housing, sanitation, road communication, the creation of new livelihood opportunities, skill enhancement, health services, reduction in maternal and infant mortality rate, development of natural environment, soil moister conservation, enhancement of irrigation facilities etc will be taken up on priority under the fund. Presenting the updates, Managing Director of the corporation Uma Nanduri said that in the first phase, the target was set to construct around 29,829 houses by May 2018. So far 29,640 beneficiaries have been given 1st instalment for construction of houses. A total number of 15,321 houses have already been completed and it is expected that the balance houses being constructed through Panchayati Raj and Drinking Water department will be completed within the scheduled time. Similarly, 244 drinking water projects have been sanctioned under OMBADC. Out of this 25 projects have already been completed. Water source has been identified in 208 projects and 140 projects have been tendered out. Chief Secretary Padhi directed to fetch water from surface sources like stream and reservoirs where groundwater is not available. It was also decided to construct large sanitary wells in very difficult areas. Besides, afforestation and soil moister activities like block plantation, avenue plantation, assisted natural regeneration, urban plantation, seeding distribution have also been done under the fund. So far Rs.34.55 crore has been utilized in these works.